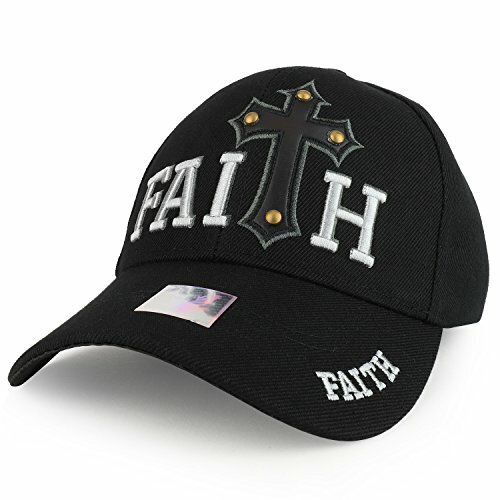 Our Faith and Cross Embroidered Christian Themed Structured Baseball Cap is great for religious outing and event. This structured baseball cap features high quality embroidered design and words on the crown and on the bill. Made of 100% Acrylic. Stiff and pre curved bill. Mid profile. Structured crown. 4 ventilation eyelets. Fitted with an inner hatband. Fitted with an adjustable hook and loop closure. One size fits most.